La Turbina Amarilla and Yellow Nation Army, two of the Columbus Crew supporter groups, co-hosted a massive tailgate on Saturday. This giant tailgate foreshadowed an even larger turn out for the game. The supporter groups are united, the fans are united, the city is united. 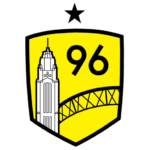 The Columbus Crew will forever be in Columbus. The much anticipated City Council meeting has occurred, but what is the outcome? In terms of #savethecrew, it is very positive. Essentially, the council voted to start negotiations with PSV/MLS over a McKalla Place stadium, WHILE CONCURRENTLY allowing for bids from 3rd parties to use McKalla for other uses (affordable housing/other developments). Council member Leslie Pool, whose district includes McKalla place has stated. “We need to have all options on the table, I think this puts us in the best negotiating position. If one party thinks they have a clear field, it’s a weaker negotiating position than if they knew they had competition.” On the contrary, council member Delia Garza stated, “I really hope we don’t try to stall this process. What it really boils down to is do you want soccer or do you not? I believe we have an amazing opportunity to bring a professional sports team to Austin.” There was a large PSV push to Vote NO on Item 60, yet Item 60 still passed. Zardes continues to be a force upfront, adding another goal on Saturday, converting off of a penalty kick. Eduardo Sosa scored his first MLS goal, on a beautiful curler. Another 2-0 win over Deportivo Saprissa in a match that was delayed by strong thunderstorms.